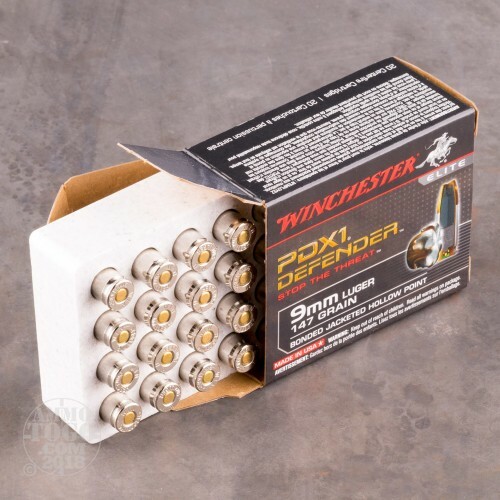 Winchester’s Defender ammo line is specifically engineered to maximize the terminal ballistics set forth by the FBI’s exacting test protocol for personal defense loads. This 9mm cartridge’s 147 grain projectile has had its jacket and core welded soundly together via Winchester’s proprietary bonding process, so the two remain virtually inseparable even after having passed through the barriers that are likeliest to impede a bullet’s performance in real world scenarios. This bullet’s hollow point has received notches to ensure that it expands reliably along six axes, even at lower velocities. 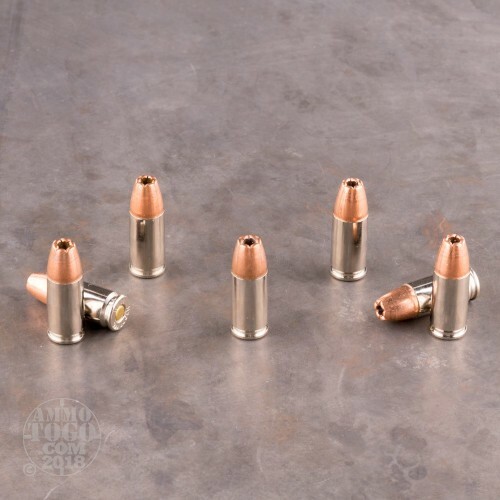 The bullet’s hollow point has been formed in such a fashion as to ensure that it expands up to 1.5 times its original diameter. 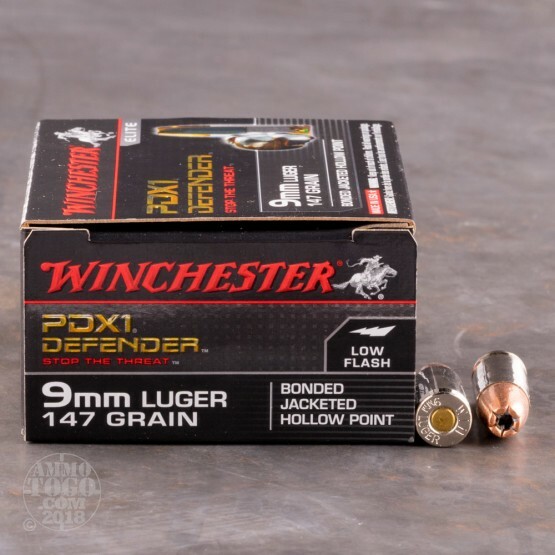 With such superior weight retention and terminal performance, there is little wonder why the FBI has preferred PDX1 Defender rounds for their agents’ service pistols in the past. 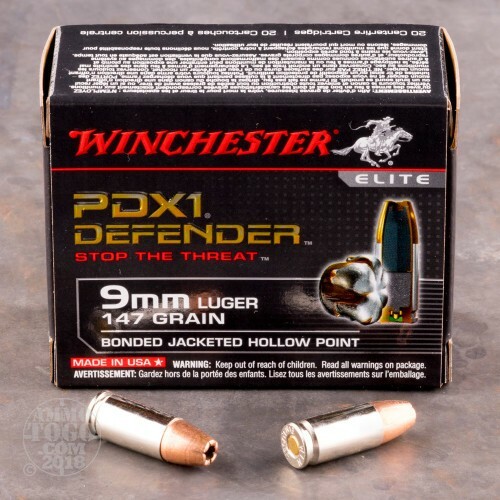 This cartridge further offers a nickel plated brass casing, the advantages of which are trifold: improved lubricity for more certain feeding and ejection in a semi-automatic firearm, improved resistance to corrosion, and improved visibility during chamber checks in low light conditions. From Black Talon to Ranger T to this is extraordinary. Feeds great, no FTF ever, and does the job perfectly. Greatest defense I've ever used. This round is the same as the old Black Talon. BT got a bad review from the medical and press claiming the round was coated in Teflon and could go through body armor. Not true. In any case Win made some small modifications and made it PDX1. Great round. The pedals do expand nicely and increases cavitation tremendously. In ballistic gel, this round expanded 5X its width, and kept over 90% of weight.